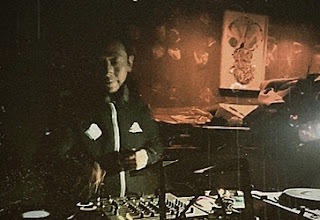 A label / sound production laboratory started by KK (with various musical background and experiences) along the release of the self titled album "Vibraion-Lo" in 2000. Self-paced, solid releaces continually appear without the infulence of miscellaneous affairs and needless information. We have maintained constant sales, and have grown to become one of Japan's representative dope beats/hip hop labels. and still now on, we're continuing to challenge the reign toward to a new era. KK, jealousguy, Repeat Pattern, Nadsroic, ARI1010, amai, Colossius, Sanden Gonza, Drastik Adhesive Force, a.z, Offwhyte, A-shura Beats, 072, Dragons of Edin, Wodan & many dope compilations. KK...Started out as a Hip-Hop,Beat Artist from around 1996, after having worked as an arranger and keyboardist and in various other capacities. Participated in DJ Krush's album "Kakusei" in 1998. After that, while producing R&B singer Kaana and various young rappers, in 2000 released"Vibration-Lo", his first album in his own name working with a range of guest artists and launched label "Lo-Vibes Recordings". In 2001, planned and released instrumental compilation "by US", which brings together some of the finest creators, and received the backing of Headz various magazines. In 2003, released "Pure Fragments EP" from Tri-Eight Music Supplies. and was next involved in the production of spirited MCs of the likes of ARI1010 and Dragon of Edin and released 2nd album "Eternal Tones" in 2005.
in 2007, released "Lift the Fog Up EP" with shing02 together with 3rd album "Light in a Fog" which brings together the flamboyant MCs shing02, K-Bomb, Tamaki ROY, hisomi-tnp, Candle, and Ari1010. In 2008, released his ambitious fourth album "in the khaos '69" with guest artists RUMI, Offwhyte, Candle, Kochitola Haguretic Emcees, and Tamaki ROY, introducing essence of the Dubstep/Grime into the album. and launched party "Mo' Fun" from 2009, which features cutting edge beats and Hip-Hop. Since 2010 has provided all-round backup for ARI1010's 2nd album, female MC 072 (in Sapporo)'s debut album, Nadsroic from UK, jealousguy from Hokkaido etc...and planned many dope compilation.